Robert Kilkenny, CPA is a Central Massachusetts CPA firm providing comprehensive accounting and tax services for businesses and individuals in Chelmsford, Marlborough, Maynard, Acton, Stow, Hudson, Sudbury and throughout Central Massachusetts. We are well-respected CPA's with a reputation for tax knowledge and integrity and strive to offer an affordable alternative to more costly, larger financial service professionals. Robert Kilkenny, CPA understands that businesses need a competent and reliable financial advocate. Yes, we can do your tax preparation and process accurate financial statements. But our real strength lies in our ability to stand with you as you grow your business and to be a trusted partner as you make the difficult decisions necessary for your success. We answer and return all contacts promptly and truly enjoy the friendly relationships we've built with both individual clients and local small business owners. We are in the process of expanding our client base and would love to discuss how we can work together. We offer a consultation for Central Massachusetts individuals and business owners. Call Bob Kilkenny at 978-344-0807 to set up an appointment today! Robert F. Kilkenny, CPA is a 25 year tax and accounting professional with extensive experience in federal, state and international taxation as well as accounting and treasury management. This experience ranges from large corporations to small, sole proprietors and start-ups. Robert's experience has been in both private industry and public accounting. Since he has been on both sides as a client and a service provider, he knows what businesses demand and is able to fully understand what business owners need from a financial service provider. He also has been successful in representing numerous businesses before the IRS and various states for all types of audits. 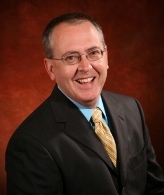 Bob enjoys working with small business clients and considers building relationships as extremely important. "The work is very rewarding when I can see the passion clients have for their businesses and know that my services are helping them succeed." Debra B. Estey, CPA has over 25 years of experience in public accounting and private industry. Recently Debi has worked as an independent CPA for closely held companies in a variety of industries including Rental Real Estate, Manufacturing, Investment Holding Companies and Consulting Services. Debi provided tax and consulting services for these privately-held companies and their owners to assist in the areas of taxation, accounting and business planning. While working in the private sector Debi has gained experience in multi-tier corporate accounting structures, all facets of financial statements presentations and a range of tax services. In addition, Debi has extensive knowledge of QuickBooks and provides support to her clients in this area. She is committed to delivering tax, accounting and consulting services that meet each client’s unique objectives.